With the major labels cajoling Apple into upping the cost of the most popular tracks on iTunes, I wondered how long it would take other music download stores to follow suit. Not long it seems – less than a day in fact – with paidContent and Ars Technica reporting that Amazon, Wal-Mart, Lala and Rhapsody have followed Apple’s lead and introduced ‘variable pricing’. In an effort to make money from YouTube, Google introduced this week an e-commerce component to the popular video-sharing site that allows users to click buttons to buy music, video, and games from iTunes or Amazon. The idea has merit, but its execution — at least in this early stage — is in need of improvement. It’s not unlike other Google initial-release products. 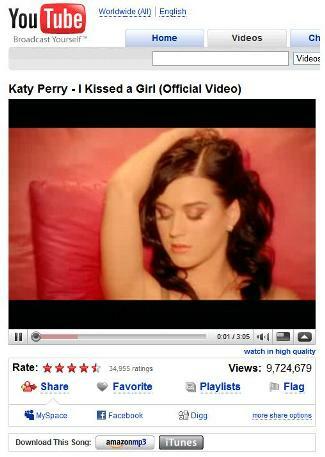 Say you’re messing around on YouTube and you watch a video from an artist you like — Katy Perry or Raphael Saadiq. Just underneath the video, below the ratings and the sharing and social network links, there are two buttons to download the song or video from Amazon’s MP3 store or iTunes. Clicking on either one takes you directly to the song at either store. The purchase process is exactly what you’re used to at AmazonMP3 or iTunes. That’s not exactly true. Clicking on Amazon, of course, takes you to AmazonMP3, while clicking on iTunes takes you to, naturally, iTunes. But you still leave YouTube, although the page you were viewing remains intact. 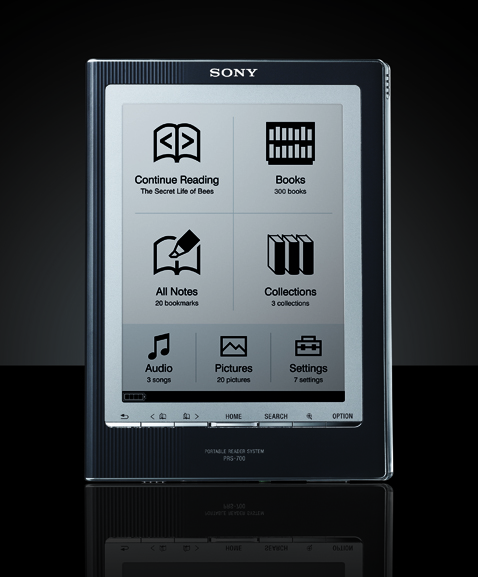 Sony announced its third-generation electronic book reader this week at the same time it appears that the iPhone has overtaken the Kindle as the industry’s No. 1 reader. Stanza, a book-reading application available through Apple’s App Store, has been downloaded more than 395,000 times and continues to be installed at an average rate of 5,000 copies a day, according its developer Lexcycle [via Forbes]. Forbes notes than Citigroup has estimated that Amazon will sell around 380,000 Kindles in 2008, making the iPhone — at least in loosely-defined terms — the No. 1 eBook device. Titles available for Stanza are mostly public domain, not best-sellers. Sony, which entered the eBook market long before Amazon or Apple (through third-party developers), isn’t expected to sell nearly as many Readers as Kindles or approach as many users as Stanza on the iPhone. Even so, with its third-generation Reader Sony continues to plug along and, in nearly every respect, has the best eBook device. Without actually seeing and using the device, it’s hard to say if the new Sony Reader will live up to its specs and is worth $400, but the improvements seem substantial with a few exceptions.